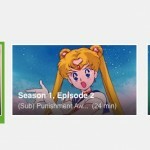 This Monday, June 2nd, Hulu has added two new episodes of Sailor Moon. These episodes are subbed only by Viz and are being released at a rate of two episodes a week every Monday for the foreseeable future. This week we have episodes 7 and 8. Episode 7, Usagi Learns Her Lesson: Becoming a Star Is Hard Work, has Usagi and her classmates going wild preparing for the Cinderella Caravan, a local talent show promoted by teen idol Mikan, or rather a monster who is posing as Mikan. The talent show is nothing but a plot by Jadeite and the Dark Kingdom to steal energy. 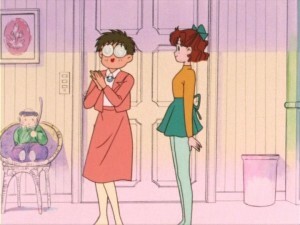 Along the way we have Usagi and Naru breaking the 4th wall by performing the show’s theme song and Umino cross dressing in an attempt to do anything to win the contest! 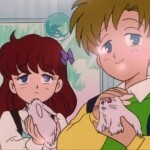 Episode 8, The Girl Genius Is a Monster: The Brainwashing Cram School of Horror, introduces us to Ami Mizuno, a quiet genius at Usagi’s school with an IQ of 300 (IQs over around 160 are generally thought to be beyond our ability to properly measure). The Dark Kingdom has infiltrated a cram school and Usagi suspects Ami might be in league with the enemy. As it turns out she’s the latest Sailor Guardian Sailor Mercury! 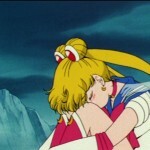 Next week we’ll be seeing episode 9, Usagi’s Misfortune! Watch Out for the Rushing Clocks, which although dubbed in English was sometimes not aired in syndication due to the unfortunate English title “Time Bomb”. Also released next Monday will be “Cursed Buses! Fire Warrior Mars Appears” which is the first appearance of the greatest character in the series! 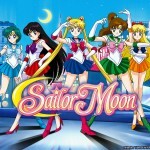 This entry was posted in Sailor Moon Anime (1992) and tagged Hulu, Jadeite, Mikan Shiratori, Naru Osaka, Sailor Mercury, Sailor Moon, Sailor Moon episode 7 - Usagi Learns Her Lesson: Becoming a Star Is Hard Work, Sailor Moon episode 8 - The Girl Genius Is a Monster: The Brainwashing Cram School of Horror, Sailor Moon Season 1, Umino Gurio by Adam. Bookmark the permalink. “Also released next Monday will be “Cursed Buses! Fire Warrior Mars Appears” which is the first appearance of the greatest character in the series!” I agree with you there, Sailor Mars is the best!